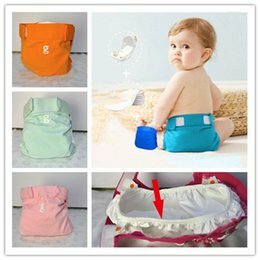 Did you know that you can use cloth wipes for more than just cloth diapers. Here are 16 other uses for cloth wipes when your child is out of cloth diapers! If you use cloth diapers, chances are you use cloth wipes. If you don’t, well, they’re certainly an easy option for anyone – cloth diaper user or not. I held out for a few months in our CDing journey before I started using them, but once I did, I wished I had started sooner. 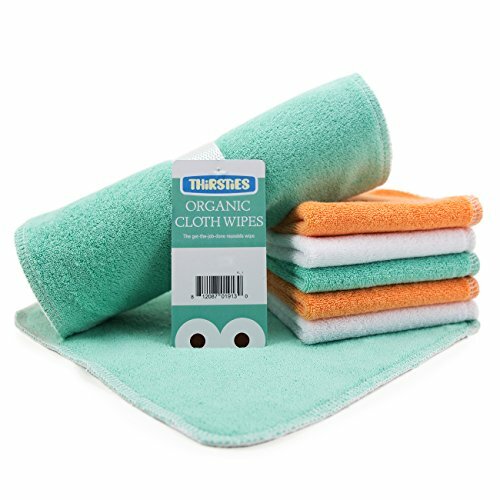 What other uses could I find for Cloth Wipes? That’s right! With some lovely help from fellow cloth diaper bloggers and even a few of you, I came up with 16 other uses for Cloth Wipes! Some are similar to one another, some you’ve probably done without thinking much about it, and some – well – may give you great ideas for what to do with your cloth wipes when you don’t need them for their intended purpose anymore! Yes, this is pretty much their intended purpose, but they don’t have to be used just for the kiddos! This would definitely depend on the type of cloth wipes and what material they are made from, but such a great idea to use them as reusable liners! It’s a hard transition from cloth wipes to stiff, hard toilet paper so cloth wipes really make a great transition while potty training. My girls are always wanting to help me clean. So I bring out their cloth wipes and let them wash away – pretend or with water! Watch your kiddos imagination run! They’ll think of a million things to do with cloth wipes outside. 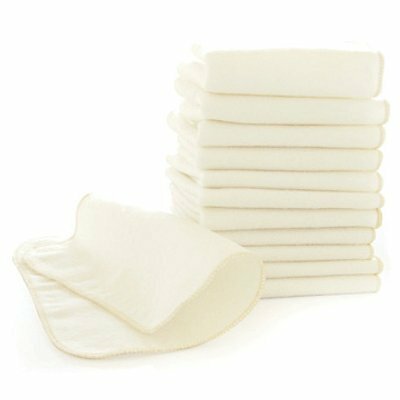 In a pinch – cloth wipes can be folded and used as breast pads! Once again, it depends on the material used in the wipes, but flannel is a great absorbent material! My mind was sparked with this idea when we received a box of Organic Muslin Wipes from i Play Baby [free for review]. I love muslin, I love organic, I love Green Sprouts products, so I just needed these wipes even though we didn’t need cloth wipes for cloth diapers anymore. So, I started thinking what I could do with them and you know what? I think I have plenty of ideas, don’t you!? The wipes are made from organic cotton muslin, so they get softer with every wash and are squares of 12″x12″. They’re bigger than other cloth wipes I’ve seen and I actually love the size, especially since we’ll be using them in so many different ways! What “other” way do you most often use your Cloth Wipes? My 3 year old likes using cloth wipes as small towels to dry her hands. Still using as baby wipes, but they will be awesome bath cloths! Much softer for wiping boogies of sensitive noses! we use cloth wipes instead of napkins and paper towels. Also to clean faces and hands on the go with water. Use cloth wipes as napkins. to wipe dirty hands and faces. I use them as handkerchiefs when I’m on the go because I always have them in the diaper bag. I think I would probably start off using cloth wipes as they are intended, but would also probably make great burp cloths as well. I will use them as Cloth Napkins…great idea! Breast pads! I have been out with nothing, great idea! You can use them for dusting too. I would use them in place of paper towels in public restrooms! That’s a great idea!! Runny noses and dirty faces. In place of disposable cleaning wipes! I have mine color coded. some for face and hands and noses, some for bums, some for napkins, some for small spills! I use them to wipe her face, and clean up spills! I have some gauzy cloth wipes that are great for cleaning mirrors without smudges. I clean houses and the best raggs I have and use are the cloth diapers. I would love to try these out and see if they will work on the Stainless Steele! Looking forward to using them as extra absorbency in my cloth diapers! I use them as nose wipes! I’m sure I’ll use them for dirty hands and faces. They are perfect for spills on the go in the car! They also make great burp cloths and dribble catchers ina pinch! I also use them as wet wipes for after my son eats a messy meal. SOMEDAY I want to try family cloth….it’d pretty much just be me using them, though. They are perfect “snot rags” for allergy season! We have to use them for runny noses because my child shreds paper tissues! 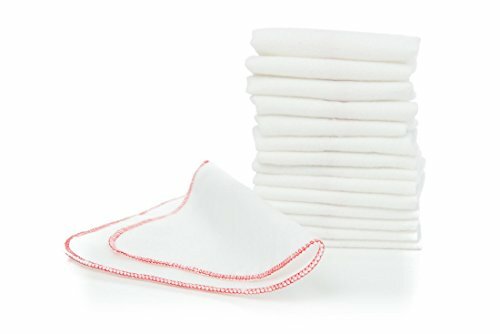 We have our first baby on the way so I plan to use cloth wipes with cloth diapering and also for wiping sticky faces and fingers. I like using them as burp cloths and when they finally get old and tattered they are great for cleaning cloths. I use them a lot on our wood floors b/c living in Wisconsin, the floors are constantly muddy from the snow, etc. I use them to wipe off the bath tub and counters. I would have them on hand for an eco – friendly alternative for “emergency” runny noses, especially during the winter months. I use cloth wipes for my potty-training toddler. They work so much better than toilet paper at getting her clean! I usually use my cloth wipes for cleaning my toddler’s face and hands after a meal. I would use them when I take my child out to clean up after playing at the park. I use cloth wipes to dry dishes. They work wonderfully, very absorbent! I would use them in place of wipes or napkins. I will use them as breast pads!! I am always running out so this would be a great quick fix when I need it! I use them to wipe my daughters face and hands and as washcloths in the bath! I use them to wipe messy faces. I use cloth wipes to dry plates. I would use them to wash the little one’s face and hands. I like the idea of using them instead of paper napkins. Fun! I would use them to replace disposable wipes when cleaning up my toddler and newborn during diaper changes.. 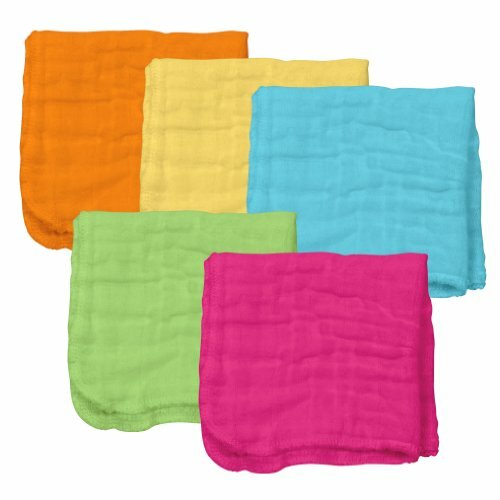 I use cloth wipes in conjunction with cloth diapers, to wipe up baby spit-up or as a wash cloth. We use ours for noses and faces. I’d love to use these for napkins!! We use them for dirty faces and runny noses! In place of paper towels in public restrooms. This was such a good idea . I use them to wipe up spills. Honestly, my son would love to use these to help me clean! I keep a couple cloth wipes in the car and always seem to have many reasons to use them such as sticky hands and faces. Great list. So jealous that you have 2 potty-trained children. I’m hoping the second one will show interest soon. In the meanwhile, I will continue to use the cloth wipes with cloth diapering. I use them as wash clothes in the tub occasionally. We’re still using cloth diapers so we use cloth wipes as they were intended. But we have some set aside as tissues all around the house. The i Play cloth wipes look like they might make some cool playsilks.